Dimensions: 7" x 3.5" x 10" x 3.5"
Dimensions: 7-3/4" x 3-1/2" x 15" x 3-1/2"
Dimensions: 16" x 6" x 15" x 6"
Dimensions: 24" x 8" x 24" x 8"
Dimensions: 4" x 2-1/4" x 9-3/4" x 2.5"
Dimensions: 3.5" x 2" x 7" x 2"
Dimensions: 13" x 4.5 x 11" x 4.5"
Dimensions: 7" x 3.5" x 10.5" x 3.5"
Dimensions: 9" x 3.5" x 7" x 3.5"
Dimensions: 16" x 5 1/2" x 13" x 5 1/2"
Dimensions: 9" x 3-1/2" x 7" x 3-1/2"
Brighten up your store with these Frosted SOS Gift Bags. 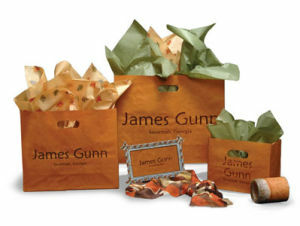 These frosted bags can be used for many things including, apparel, gifts and even books. SOS (SOS - Square Opening Sacks) Hi Density Gift Bags feature a bottom card inserts and are available in Clear Frosted or Colored Frosted.These frosted bags are one of the hottest packaging ideas for use in your retail store. Frosted bags are made of thick Hi Density plastic which gives them their frosted color and extra strength. Clear Frosted SOS Bags are available in 8 different sizes. Two sizes do not have die cut handles (3 1/2" x 2" x 7" and 4" x 2 1/4" x 9 3/4" packed 500 per case). All other Clear Frosted SOS bags have a convenient die cut handle and are packed either 125, 200 or 250 per case depending upon the size of the bag. Clear Frosted SOS bags vary in thickness from 3 to 4.5 mil. Colored Frosted Hi Density Bags like below are made of 4 and 5 mil thick Hi Density plastic and have convenient die cut handles. Packed: 500, 250 and 125 per case as indicated.